Captain Posted A Picture Of Watching “Aquaman” With His Wife !! Followers Surprised !! 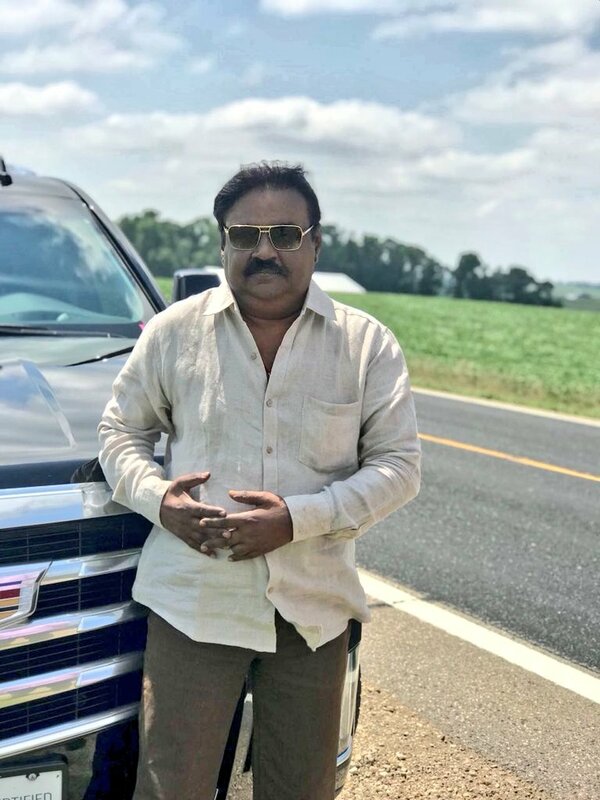 There is a hushed talk in the DMDK camp that the party’s head Vijayakanth’s health has deteriorated further in the United States where he is currently getting medical treatment and he is very serious. However, a DMDK spokesperson has dismissed it as a baseless rumour. But still, tension prevailed in the DMDK camp as there is no official denial of the ‘rumour’ so far. In Virudhachalam, a high-level meeting of DMDK functionaries took place this morning, but details as to what was discussed were not shared with the public. The official mouthpiece of the DMDK- Captain TV and its Twitter handle, Captain Media have repeatedly been posting and telecasting about DMDK workers performing special poojas for the recovery of their beloved ‘Captain’, few days back. Even a week ago, DMDK cadres from Anakaputhur and Pallavaram went on a procession with 108 milk pots and performed abhishekam at the Aalavattamman temple for the speedy recovery of Vijayakanth. Such rituals have been seen happening around the State for some time including at Salem today. Vijayakanth left for the United States from Chennai for treatment a week earlier than the date announced by the party due to his health. With doctors constantly monitoring his condition, news about Vijayakanth being serious is being circulated on social media for past weeks. Now in a way of proving them all wrong, Captain Vijaykanth set the social media on fire. In his official twitter account, Captain posted a picture with his wife Hemalatha watching “Aquaman” movie in Imax theatre. Watched Aquaman movie in Imax. தமிழக அரசியல் களம் தங்களின் தில்லான பேச்சினைக் கேட்பதற்கு காத்திருக்கிறது.. விரைவில் வாருங்கள் தலைவா…. Your pair looks awesome when compared to the one in poster. Get well soon. my kid 8 year old is your fan after seeing vanathai pola. She never leave you down and support like any thing. Take care. விரைவில் தமிழகத்தை ஆள வா தலைவா. விரைவில் பூரண நலம் பெற்று அரசியலில் கோலோச்சுங்கள் கேப்டன்..
நீங்க இதே மாறி சந்தோசமா இருக்கனும்..
Vijayakanth who is fondly called “Captain” is an Indian politician and film actor. He was the Leader of the oposition of the Tamilnadu Legislative Assembly from 2011 to 2016. Before coming into politics Vijayakanth was a film director and actor. He was a political film actor in Tamil cinema. Vijayakanth is also the current DMDK chairman of Tamil Nadu legislative assembly. He is the Founder and Leader of the Desiya Murpokku Dravida Kazhagam (DMDK) Political party and served as a Member of Legislative Assembly twice representing the constituency of Virudhacalam & Rishivandiyam respectively. Previous articleAfter 8 Long Years, Sasikumar To Direct A Movie By Casting This Actor !! EXCLUSIVE !! Next articleRio Raj Got Angry On The Contestant & Shouted !! Check Out The Reactions ! !